Monitor your home, office and more. Support record audio from mic . Add local time on record video . Export video to many formats. 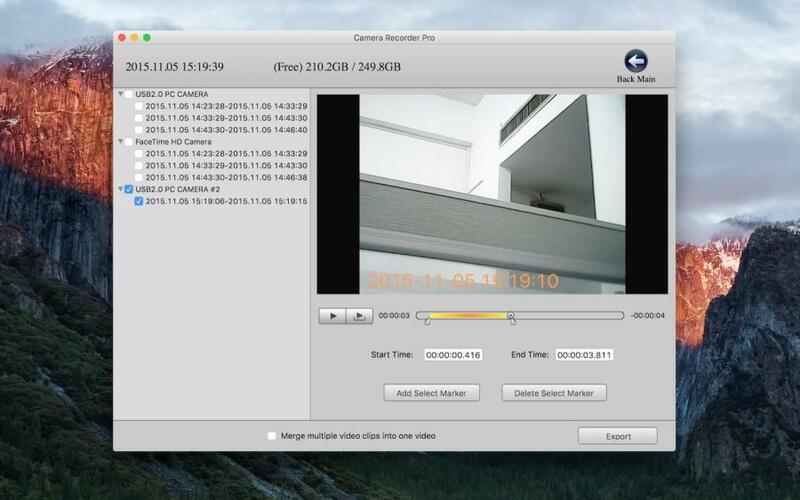 Camera Record Pro - Surveillance Monitor compatible with the Mac’s built-in camera, or countless other third-party cameras. The app is an advanced video surveillance software. You can effortlessly monitor your home, office, parking area or any other premises 24-hours a day. 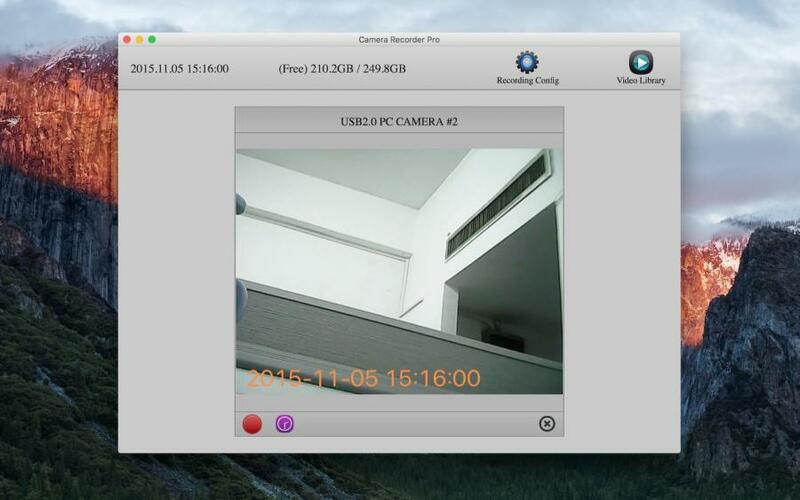 Simply connect a USB or FireWire Camera to your PC, install the app and you have an inexpensive and effective video surveillance system. 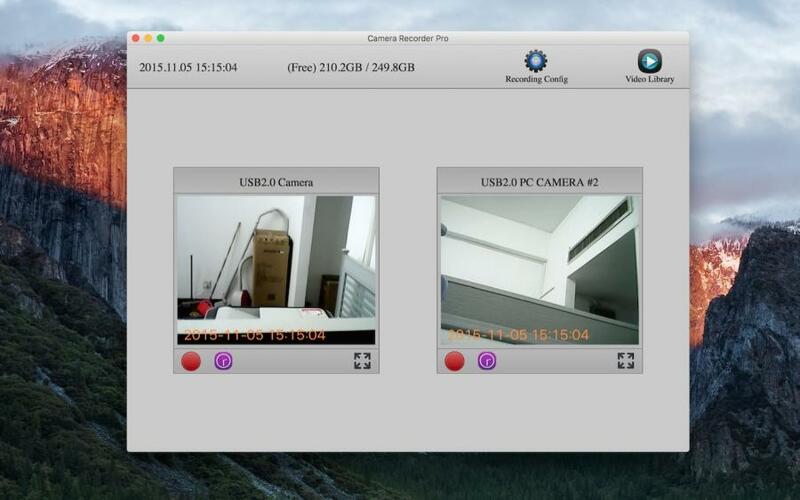 You wanted a simple-to-use, fully-featured video surveillance app for your Mac, and Camera Record Pro - Surveillance Monitor ! The app can monitor and/or record anything – your desk, your front door, the kid’s playroom, the baby’s room – anything. The app contain the most advanced video file storage. The app will auto save recorded video every 10 minutes , your long recorded video will be saved to many small videos, let your camera recording more safe and stable . 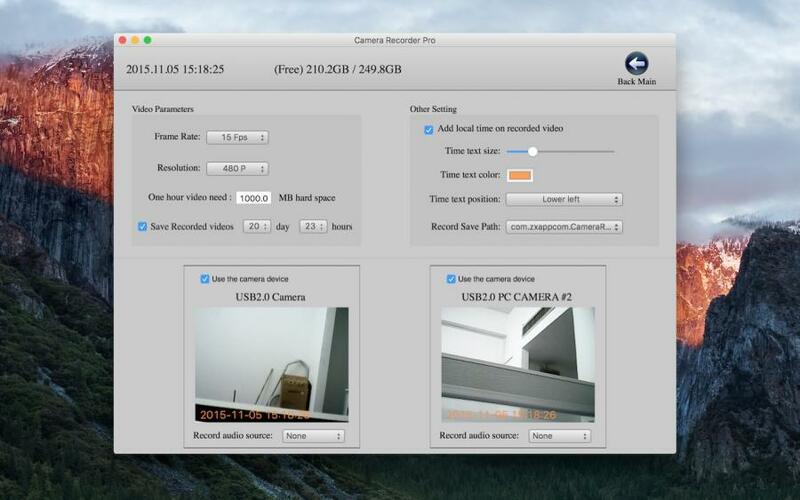 If your computer and system support open multiple cameras then the app can record multiple cameras monitor at the same time . 1. Monitor your home office, front door, room and so on . 4. Add local time on record video . 5. Adjust record video’s frame rate, resolution and size . 6. Setting one hour video need hard space . (You will know your free hard space can record how many hours ). 7. Setting loop storage time length . ( Auto delete old videos ) . 8. The most advanced video file storage mode, let your camera recording more safe and stable . 9. Preview and edit recorded videos . 10. Merge export recorded video items . ( You can choose merge or not ) . 11. Support record audio from mic . 12. Change video save path . Note: If you have some problems,Please send an email to quicksoftware@126.com I will solve these issues as quickly as possible.